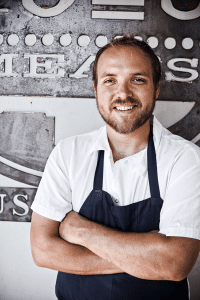 4505 Meats is a burgers and BBQ joint which is a Producer of all things meaty. 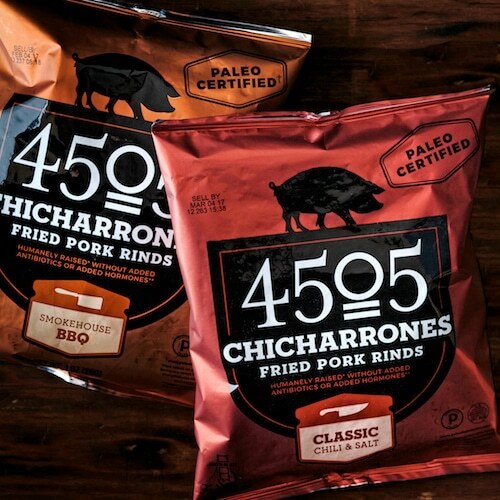 4505 Meats is dedicated to flavor and quality, adding our own unique touches to create exceptional meaty products. We produce meat, sausage, and chicharrones which reflect our philosophy of whole animal utilization. 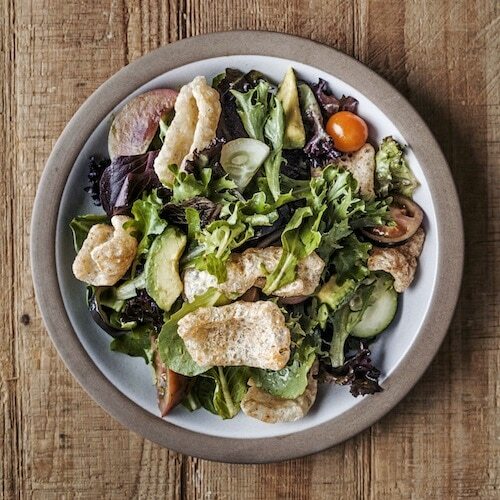 Visit our Flagship Butcher Shop for a selection of pasture-raised whole beef, pig, lamb, goat, chicken, and rabbit, as well as a curated selection of local cheeses, olive oil, deli sandwiches, and our signature Chicharrones. 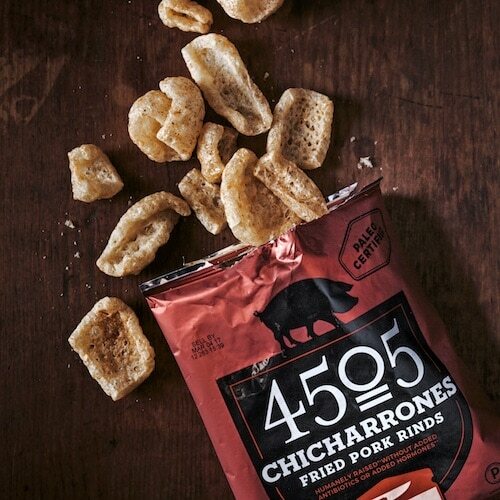 Kettle Cooked Chicharrones from 4505 Meats are made from pork skin sourced from small family ranches, ground chili, a dash of salt and palm sugar. 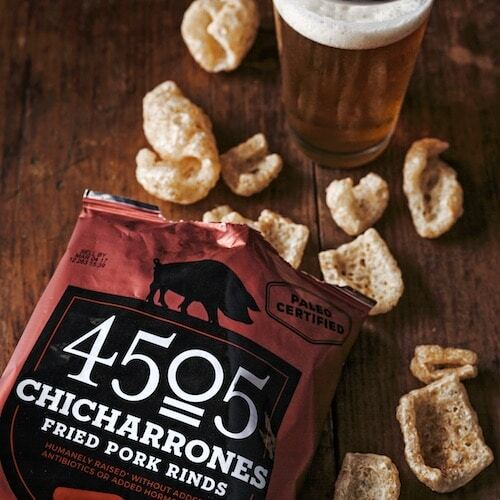 The crisp and light texture comes from the kettle cooking, a tradition that dates back to the original chicharron. 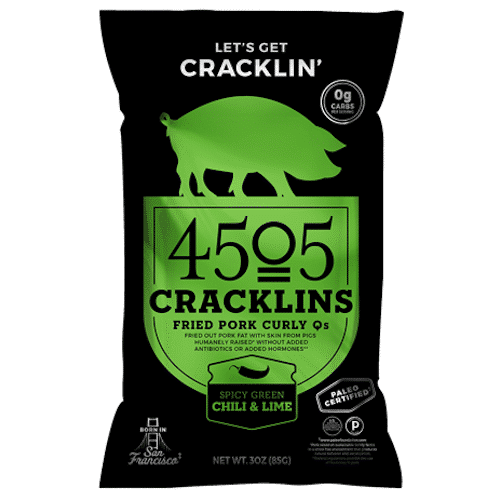 Plus, 4505 Meats fries the skins in lard to minimize waste and utilize all parts of the animal as part of our commitment to sustainable production. This salty & spicy snack is a great sidekick to beer, cocktails, or sparkling libations of all kinds. 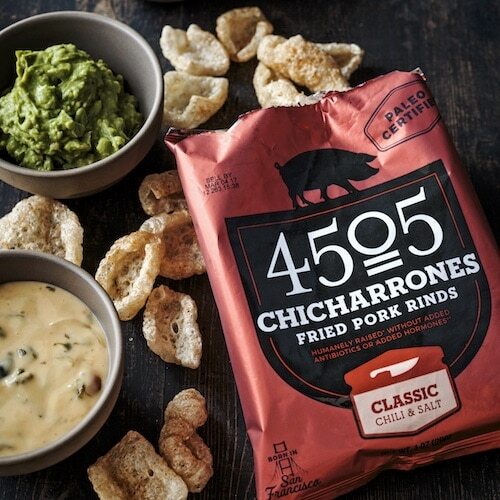 Tasty with queso dips or a variety of spreads. 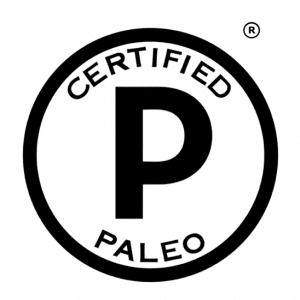 Gluten Free and Certified Paleo by the Paleo Foundation! 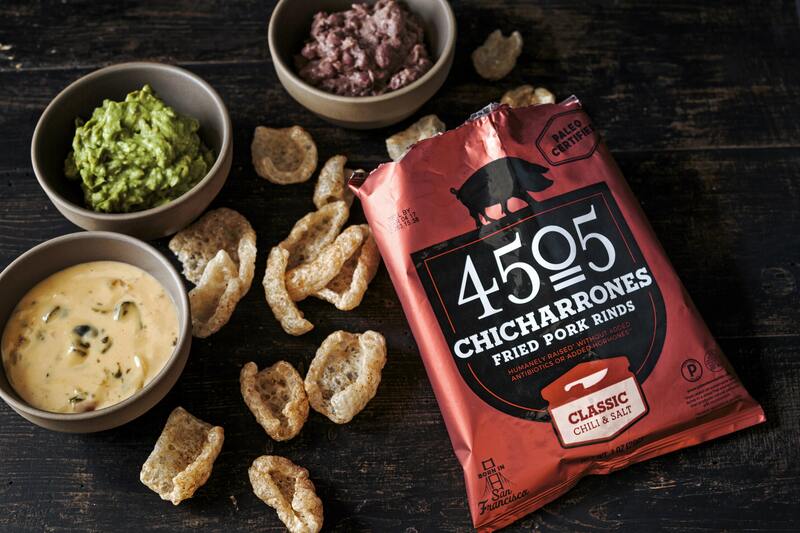 Our Classic Chicharrones are fried in lard and seasoned to perfection with a blend of salt and three different chiles. 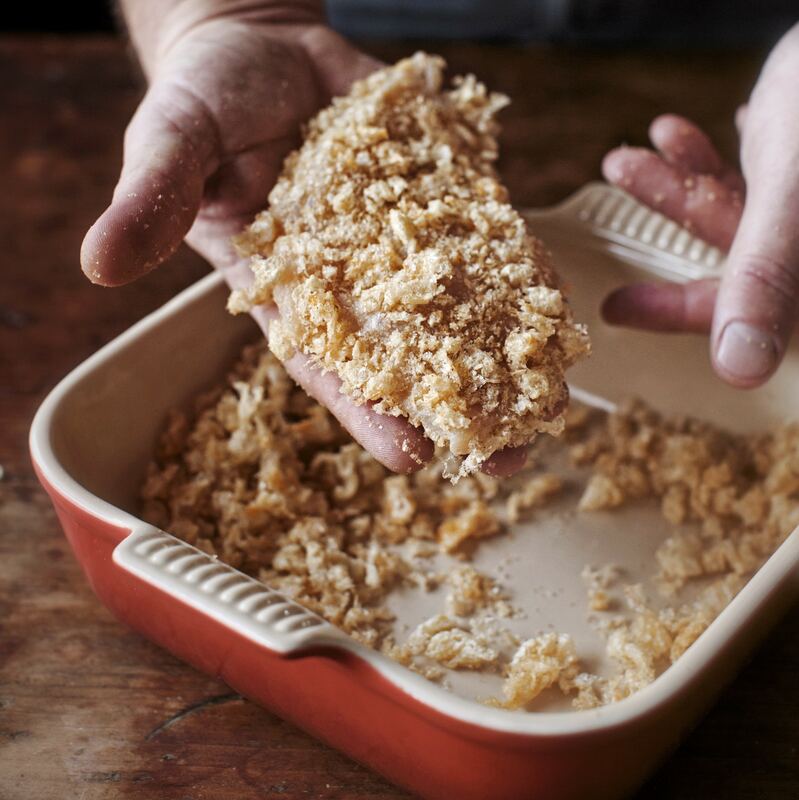 The process of kettle-frying them in lard produces a lighter and crispier texture than your traditional pork rind and minimizes waste as a part of our commitment to whole animal utilization and sustainable production. 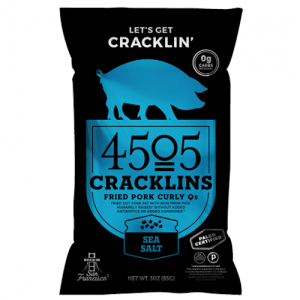 4505 Meats is a family owned company based in San Francisco, founded by chef Ryan Farr in January 2009. 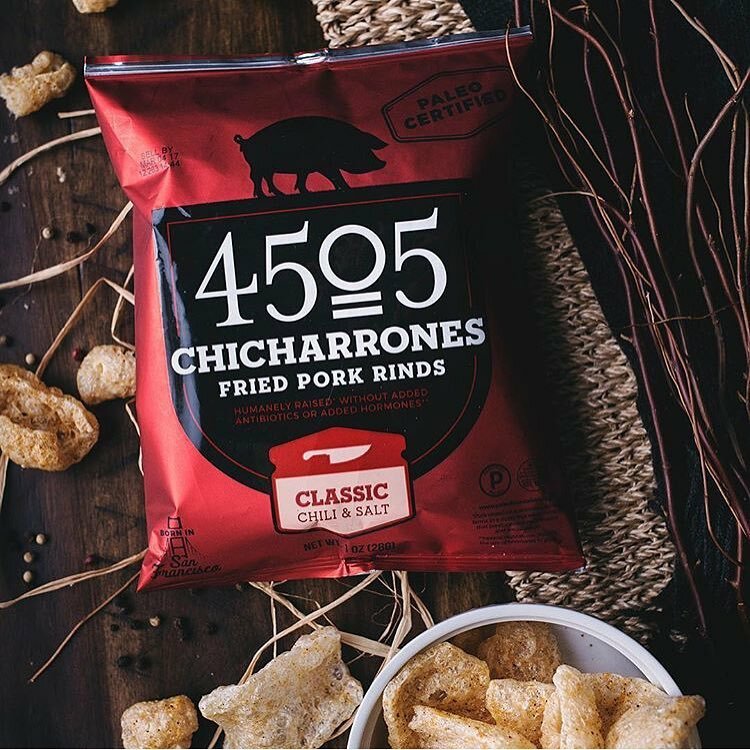 Initially launched with one product, the lighter-than-air Original Style Chicharrones, or “crispity clouds of porkaliciousness,” followed by Bacon-Studded Hot Dogs. The business has only grown from there: 4505 Meats operated stands at Farmers’ Markets all over San Francisco. 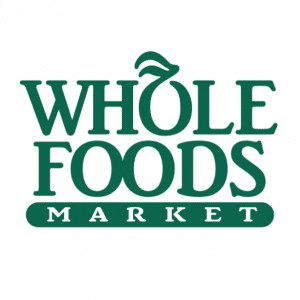 From December 2012- July 2015, they ran a full-service whole animal butcher shop in the Mission District, where they sold responsibly and sustainably raised meat sourced from farms in Northern California. 4505 Meats currently sells the “Best Damn Cheeseburger” and other meaty treats at the Ferry Building Market on Saturdays. In 2013, they launched a restaurant, 4505 Burgers & BBQ, which serves—you guessed it—burgers, 4505 Meats-style barbecue and more. 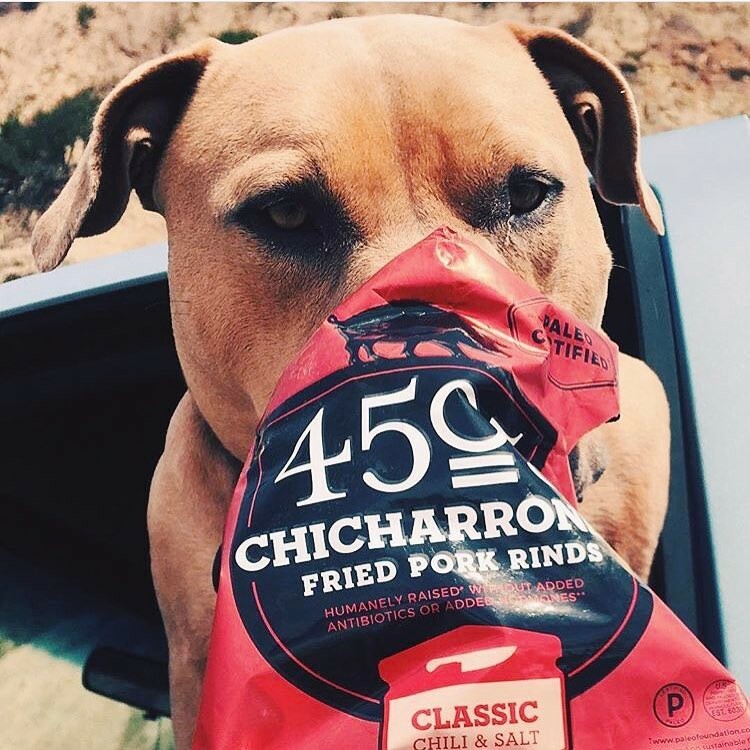 The legacy was built upon the values of whole animal butchery and a commitment to bringing quality & delicious products at our Farmers Market stand, Restaurant, and specialty stores & bars nationwide. Partners with local organizations to raise money and build community while sharing delicious food. 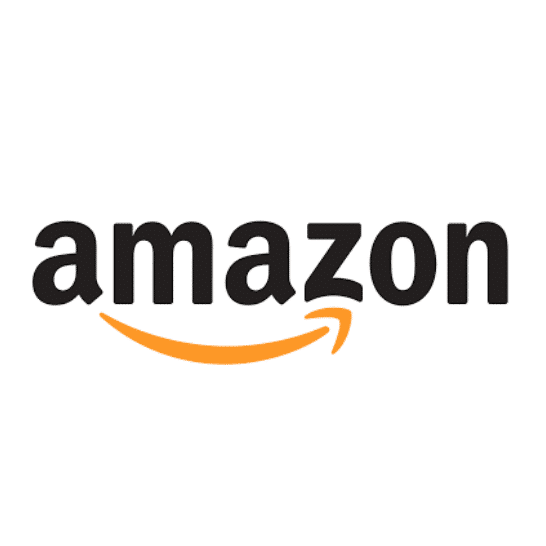 Each year they adopt six non-profit organizations dedicated to the health or education of children and families. 4505 promotes each non-profit for two months by displaying signage at our Farmers’ Market Stand and 4505 Burgers & BBQ. For increased awareness for each organization, every guest is given the opportunity to make a donation at the cash register. 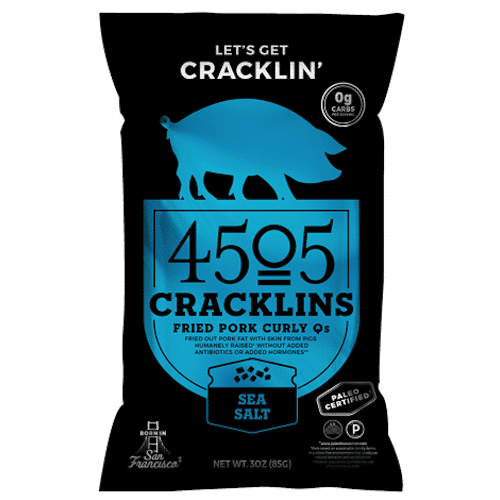 4505 partners with the organization to choose one Monday during the partnership to designate as the celebration night when 4505 Meats will donate 5% of net sales to the Community Partner organization. 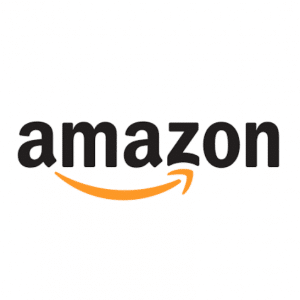 We are proud to use local purveyors whenever possible. 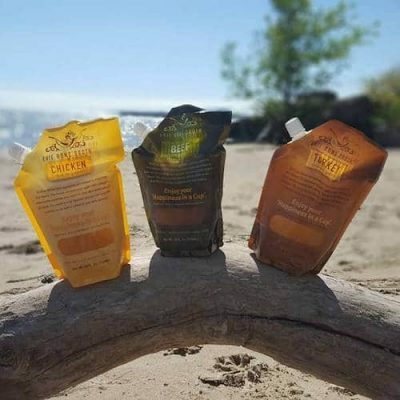 Our goal is to serve products made by producers that share our commitment to taste, quality, and sustainability. Whole Animal Butchery is our legacy. We have long-standing relationships with our farmers and believe in whole animal utilization. We are proud to serve meat from local purveyors and those that raise their animals sustainably. 4505 Burgers & BBQ only serves the meat we would serve our family. 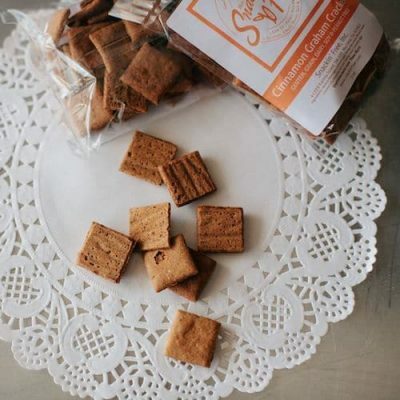 Five Dot Ranch (Napa, CA) - Five Dot is a seven-generation, family owned business that produces grain and livestock. We serve Five Dot Ranch Brisket and are proud to be one of their biggest customers. Hobbs Smoked Meats (El Cerrito, CA) - Hobbs is a family operated business, known for creating “California- Style Bacon” and using Applewood smoke. American Homestead (Iowa) - American Homestead Natural Meats is a network of 35 family hog farms committed to animal welfare and responsible farming methods. Homestead is the provider of the pork we use for pulled pork and spare ribs. 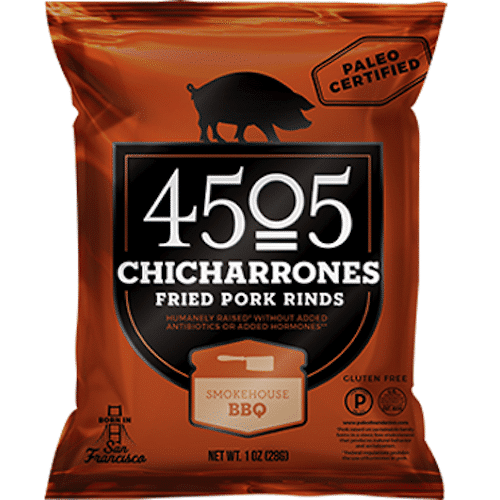 Rancho Llano Seco (Chico, CA) - We source whole Hogs from Llano Seco for our Smoked Whole Hogs and other special events. 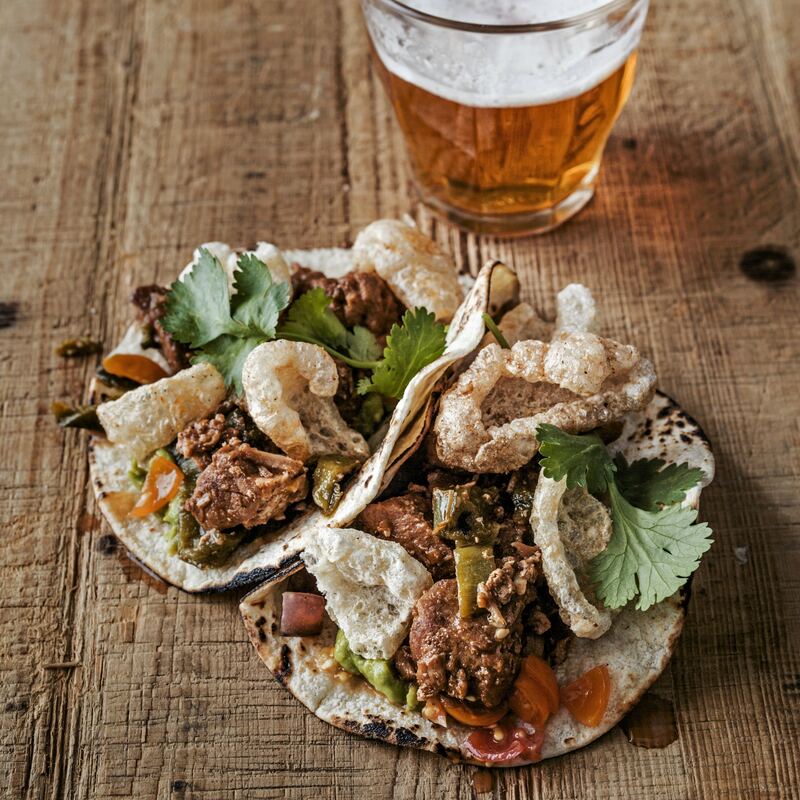 Llano Seco is a sustainable producer of beef, pork, and heirloom beans & grains. Sun Fed Ranch (Shasta, CA) - We pride ourselves on serving great grass fed beef from Sun Fed ranch. 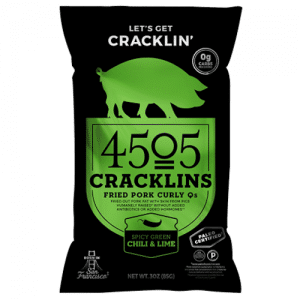 It’s ground fresh and pattied daily to our exact specifications. Sun Fed cattle are 100% grass fed and 100% grass finished, and are ranched primarily by two families in Northern California from the Sacramento Valley up to Oregon border, as conditions dictate. Pitman Family Farms (San Joaquin Valley) - We use Mary’s Chicken from Pitman Family Farms for our smoked chicken. 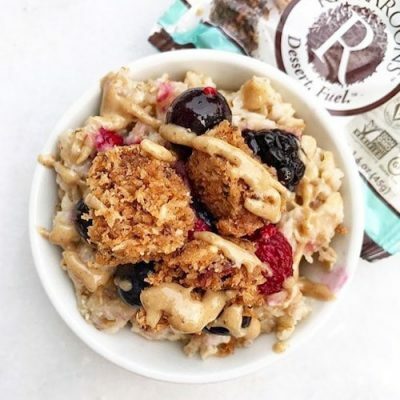 Mary’s Chickens are raised in clean living spaces and reflect Mary Pitman’s commitment to food free of sugars, preservatives and food additives. 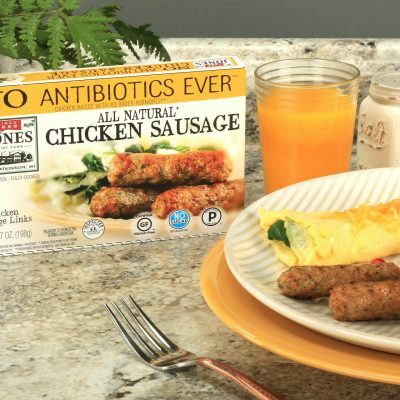 The chickens have four times more space to roam than the average commercial ranch, which eventually leads to a healthier tastier product. Or you can reach us through our contact form here!